Dagara is a coastal village in Baliapal block of Baleswar district of the Indian state of Odisha. Dagara, Chaumukha and Aladiha are the three coastal villages in Baliapal Block broadly used to mention about the closer seaside and beach. The beach is not explored & remains as one of the virgin beaches. 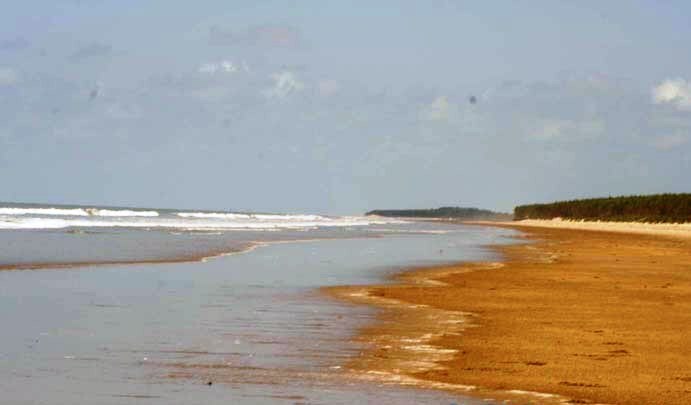 The beach is also special with the presence of other beaches like Chandipur and Talasari of Baleswar district with red crabs, silvery sand, casuariana forest. Fishing by small Boats with the local fisher flock is very interesting.Its one of the best beaches & calmness prevails with natural beauty embedded in it. The beach is ideal for sea bath & surfing. The nearest bus stop to reach Dagara is Jagai (9 km). Dagara is 64 km from Baleswar. The nearest rail head is Jaleswar (58 km). Another railway station Basta is 65 km from here. Nearest airport is Bhubaneswar which is 279 kms.